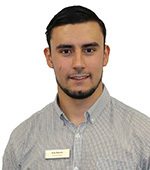 In 2015, Tom graduated from Bournemouth University with a degree in Clinical Exercise Science then went on to do a Masters in Physiotherapy at Oxford Brookes University. Throughout this time, Tom gained experience in Neurological Community Physiotherapy in MS rehabilitation and gained specific qualifications in sports massage and Kinesiology Taping. 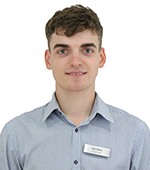 Tom has a specific interest in musculoskeletal physiotherapy and likes to treat a wide variety of conditions from acute to chronic. 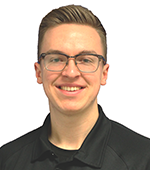 Tom joined the Hatt team in 2018 and is looking forward to treating new patients and continuing his professional development at the clinic. Outside of work Tom enjoys keeping active through running, football and cycling. On weekends, he likes to play golf, watch sport or attend music festivals. Guy originally had a background in Sports Physiology having graduated from the University of North Wales, Bangor in 2001. He then completed an MSc in Rehabilitation Science and Physiotherapy at The University of Teesside in February 2004. He spent three years with the Acute NHS Trust in Middlesbrough which nurtured his interest in musculoskeletal physiotherapy. During this time he also spent three seasons working as the Academy Physiotherapist for Middlesbrough football club which helped him pursue his interest in sports injuries. 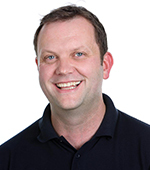 In 2007 Guy moved down from the North of England, and began working in a private orthopaedic hospital before joining the MOD as a Senior Musculoskeletal Physiotherapist. Within this setting he treated various sports and work related injuries including some traumatic blast and gunshot injuries. 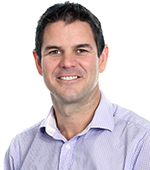 Guy joined Hatt Health & Movement Clinic in 2010 and has progressed from senior clinician to a clinical lead role. As part of this role he coordinates and supervises the training and in-service programme for the team. Guy has developed a special interest in lower limb and knee pathologies. Sports injuries and acute care of sportsmen and women continues to be an interest to Guy. He is very interested in golf rehabilitation and sport specific training. He is fully qualified to practice in acupuncture and continually updates his skills in this field. Away from the clinic, Guy is a very sociable person who enjoys travelling, visiting friends and keeping fit, especially running. He is currently working hard to reduce his golf handicap and loves to visit the coast, where he enjoys camping and surfing. You can see Guy at our Devizes clinic. 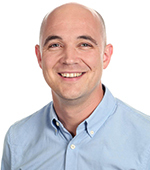 Matt qualified from the University Hospital of Wales, in Cardiff in 1999, and started work at Wycombe General Hospital where he gained experience working in the Respiratory, Orthopaedics, Neurology, and Musculoskeletal fields. 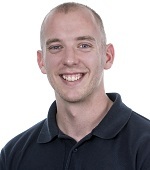 Since 2001 Matt has specialised in Musculoskeletal Physiotherapy becoming our Clinical Lead Therapist in 2015. Being a keen runner (with a few injuries himself) Matt has attended numerous running analysis and movement control courses to help improve his performance and prevent his injuries. Matt has used this experience to set up our running analysis clinic where he performs assessments - looking at your flexibility, strength and control alongside recording your running technique. From the information he obtains he is able to provide exercises and advice on how to improve your performance and help prevent any injuries. 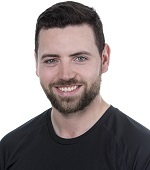 Matt has further experience working within other sporting fields and spent 3 years as the Physiotherapist for Marlow RFC, and was the first team Physiotherapist for the Buckinghamshire representative rugby side. Matt is also our ergonomic specialist treating any work related problems. This involves assessing patients in their working environment and providing exercises and advice to prevent any work related issues. Outside of work Matt loves to travel, watch sport and has a particular interest in football and rugby. He is also a very proud father of 2 young girls and enjoys spending his time trying to keep up with them! Jill qualified from the Middlesex Hospital School of Physiotherapy in 1990. She started her working life at Milton Keynes General Hospital, where she rotated through all the clinical specialties for two years and then took a senior post in Outpatients and Orthopaedics. 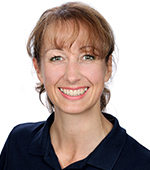 In 1993 Jill moved into private practice and has spent her time working in multi disciplinary clinics with, to name but a few, orthopaedic specialists, osteopaths, chiropractors and podiatrists. Throughout her career, Jill has continued to attend numerous courses to update and expand her knowledge. In April 2011 she and her partner embarked on a six month cycling expedition round the coast of Great Britain. Since then Jill has completed a Half Ironman Triathlon with a Full Ironman on the cards. Jill has 27 years experience as a clinician and enjoys treating all musculo-skeletal problems from neck and back pain and dysfunction to sports injuries and everything in between. She has a particular interest in Myofascial Release (connective tissue release), and takes a number of exciting Pilates classes. Outside of work Jill enjoys yoga, running, cycling, swimming, cooking, camping and music. Niamh graduated from University College Dublin in 2014. Having grown up in Ireland, she decided to move across the Irish Sea to kick start her career in a busy private practice in Cirencester, where she spent two years building on her experience of musculoskeletal conditions. 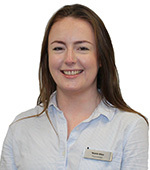 In July 2016, Niamh moved to a London practice where she gained qualifications in both Acupucture and Pilates and started to specialise in the foot and ankle, and tendon and shoulder rehab. After a very busy year, she decided to move away from the London buzz and set up in the beautiful Wiltshire where she joined Hatt's. Having grown up by the sea, Niamh has competed in many open water events and has worked as a beach lifeguard. Now that she is living a bit further inland she has sampled lots of different sports to try and replace her coastal activities. She loves heading out on day trips exploring the area by foot, bike or water! Sam qualified from Plymouth University in 2013 and went on to specialise in musculoskeletal and orthopedic outpatients working for the NHS across Devon and Cornwall. Alongside the NHS, Sam worked with a professional basketball team providing treatment for injuries and court side support during games, as well as screening and preparing the athletes for the upcoming season. After 3 years working in the NHS, Sam moved into private practice and then joined Hatt’s, allowing him to move back to his home town in Wiltshire. Outside of work Sam enjoys playing sport, particularly football and basketball as well as going to the gym. Before joining the company, Sarah was a patient at the clinic for an athletics injury. It was her experience with Hatt’s that inspired her to become a Physiotherapist. Sarah graduated from Sheffield Hallam University where she gained experience in Stroke Rehab, Musculoskeletal Outpatients and Community and Paediatric Intensive Care. Her passion for treating sports and musculoskeletal injuries lead her to intern at Sheffield and Rotherham Football Clubs. Here she worked with the first teams and gained valuable experience treating sports injuries and running rehab training programmes. Outside of work, Sarah loves athletics and is excited to get back to training with Devizes Athletics Club and Team Bath AC. She also has a keen interest in cycling, tennis and swimming. Danny graduated from UWE with a degree in Sports Conditioning. His rugby career took him to London where he discovered Pilates and which led to many years of working at various clinics, studios and sports teams, alongside physiotherapists and medical practitioners to help rehabilitate injuries and optimise movement. Danny joined our team in April 2017 as a Senior Pilates & Rehab Instructor and we look forward to Danny bringing his knowledge and experience to further the Pilates & Rehab service. Danny's main passions have always been food and sport. Now retired from rugby and having left London, he is pursuing golf and is always on the lookout for local restaurant recommendations. 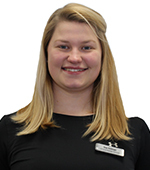 Isobel graduated in 2014 from UWE, Bristol with a BSc (Hons) degree in Sports Therapy and Rehabilitation. During her time at university she gained experience working with many sports teams. Since graduating, Isobel has continued working with athletes and has supported the Great Britain Synchronised Swimming Team through training and competitions. Isobel has also worked as a carer in a respite care home for children and young people with disabilities, complex medical needs and challenging behaviours which she loved and found very rewarding. Outside of work Isobel is a synchronised swimmer, competing both nationally and internationally. 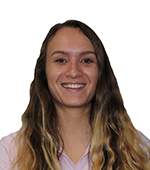 She enjoys being active and has recently taken up a new hobby – SUPing (stand up paddle boarding)! 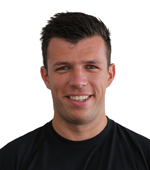 Dan graduated from St Mary’s University,Twickenham with a BSc (Hons) in Sport Rehabilitation. His passion for rehab stemmed from working with Prince Harry and the Help For Heroes “Walk for the Wounded” expedition in the South Pole in 2013. At University, Dan developed skills in a range of rehabilitation techniques such as hydrotherapy and shockwave therapy and gained experience working with the Millwall Football club, Great Britain Gymnastics and the London Marathon. He also worked as Rehabilitation Specialist for the Wooden Spoon Marauders and the Samurai International and Jamaica sevens team. After graduating, he went on to work for Trojans and Hampshire Rugby team. Outside of work, Dan loves sport and music. He played for British Universities Premiership hockey whilst studying and used to play the Euphonium in the Hampshire County brass band, touring both nationally and internationally. In 2016, Rosie graduated from Cardiff Metropolitan University with a BSc (Hons) degree in Sports Conditioning, Rehabilitation and Massage. Throughout her time at university, Rosie gained experience working as a Massage Therapist for different sports clubs such as the Welsh Under 18 football club who she supported as they played in the Roma Mundi tournament in Rome. After graduating, Rosie decided to move away from her home city of Leicester to become a self-employed Massage Therapist and travelled around south-east Asia, enjoying the food, learning the culture and enjoyed experiencing traditional Thai massages! 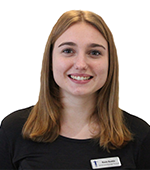 Rosie then moved to Wiltshire when she became part of the Hatt Team in 2018. Outside of work Rosie loves exploring the Wiltshire lands with her two dogs. She also likes to go scuba diving, snowboarding and mountain biking! Jamie graduated from the University of Worcester with a 2:1 BSc (Hons) degree in Sports Therapy. During his time at university he gained experience working with many different sports teams and organisations, including local rugby, badminton and American football teams at many levels. He also worked with England Touch Rugby and as team first aid/ student sports therapist at the RFU Intermediate Cup final at Twickenham Stadium. Before university, Jamie was a personal trainer and has always had a passion for helping people improve and reach their physical goals. Since graduating in 2018 Jamie has focused on his own fitness and travelling to different countries, before relocating from the Peak District to Wiltshire in January 2019. Outside of work Jamie loves spending time with family and friends, travelling, eating out, going to the gym and generally keeping fit and active. Rob gained his diploma in Sports Therapy in 2007 and has since achieved further diplomas in Advanced Sports massage and Hot Stones massage. He has worked at the clinic since June 2009, enjoys being part of a multi disciplinary team and has progressed to a senior massage therapist. He has a very keen interest in Myofascial release and has attended numerous courses to develop his skills and knowledge on this subject. Rob is heavily involved in driving the massage team forward and also trains up any new massage recruits. Rob is married and has two young sons who keep him very busy. He has always had a keen interest in sport, previously playing both football and cricket at a competitive level. He currently enjoys cycling and swimming which help him keep fit. Jon has always had a passion for sport, exercise, and health. Following this passion he graduated with a degree in Sport, Health, Exercise and Nutrition in 2014 and then went on to obtain a Level 5 Diploma in Sport and Remedial Massage therapy in 2015 from the London School of Sports Massage (LSSM). As a lover of sport he understands how frustrating an injury can be, which is why he chose to pursue his career in Therapy. Working within an experienced team to get people back to doing what they love suits him perfectly. Jon has been with his partner for 7 years and is currently keeping busy looking to buy his first house and plan a wedding. He has always been a keen sportsman and has tried a wide range of different sports. Although, in the end always seems to come back to football.